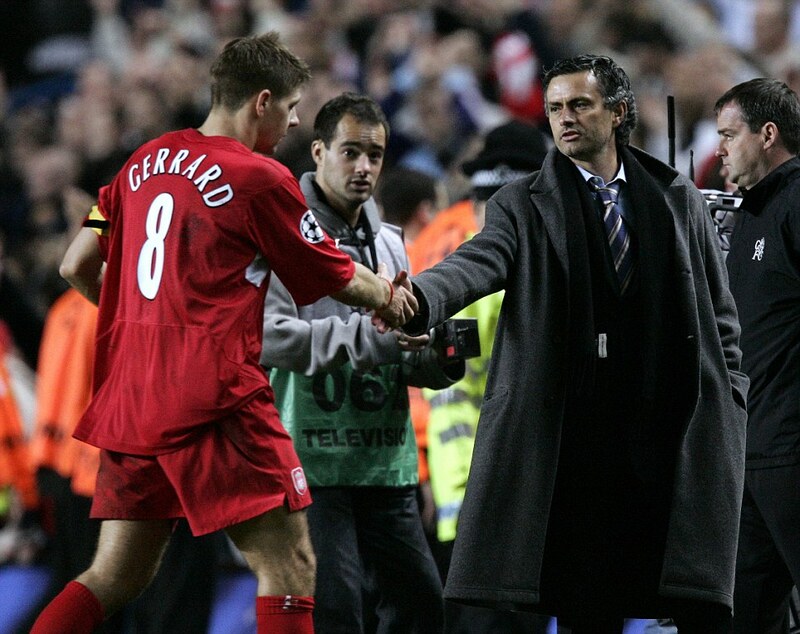 In this excerpt from Steven Gerrard’s soon to be released autobiography, the Liverpool legend reveals how Chelsea boss Jose Mourinho made several attempts to sign him, and how he could have been the perfect reds’ boss. These excerpts are courtesy the Daily Mail. “Chelsea fans are not my people. We’ve all worked that out over the years. I belong to Liverpool. Jose Mourinho understood my reasons; but each time he came in for me he was very persuasive. I liked the way he spoke to me and I could see how most of his players were ready to die for him. I remembered him winning the Champions League with Inter Milan and the devastation of his players when he left. You could see it in their faces. I understood how they felt because they had shared such a big moment in their careers together. I never had that with Rafa Benitez. I would have had it with Jose Mourinho. It was clear that, tactically, he could set up his team to win any football match. He could spoil, he could fight, he could do whatever you needed because he was a pure winner. But, more than that, he created a special bond with each squad he managed. You heard it in the way his players spoke about him. You saw it in the way they played for him. For me, the ideal situation would obviously have been for Mourinho to have managed Liverpool. He was linked with a move to Anfield a couple of times but it never materialised. I know I’m biased, but I think it would have been a perfect match. The Liverpool fans would have loved him and he would have known exactly how to turn that love into adoration. He always told me about his deep respect for our supporters. Jose would have had a fantastic time bringing huge success to Liverpool. When I was playing my best football, probably in 2006 and even in 2009, there were some big chances to leave: Chelsea again; Real Madrid twice — and the second time was more tempting because, once more, Mourinho wanted me. Playing for Jose in the white shirt of Real Madrid, at the Bernabeu? Only Liverpool could have made me say ‘no’ again. Even after Euro 2012, when I had my most consistent tournament for England and was included in the team of the championship in Poland and Ukraine, Bayern Munich were in touch with my agent. I understood how it felt to be flattered and chased. Mourinho had also spoken about trying to sign me for Inter Milan in the season they won the Champions League. Barcelona apparently sniffed and skirted around me but I’m not sure they were ever especially interested. I had come so close to leaving Liverpool for Chelsea in 2005. The reason I stayed was that Liverpool meant so much to me both as a club and as a city. Chelsea and London didn’t mean anything. During those distressing days when I felt so torn about whether or not I should stay or go I never once thought to myself, ‘I want to play for Chelsea instead of Liverpool’. My head was almost turned because I was thinking, ‘I’d love to play for Jose Mourinho’. I was certain that, under Jose, I would win all the trophies I craved. Between July 2005 and May 2015 Chelsea won the Champions League, two Premier League titles, four FA Cups, the Europa League and two League Cups. That’s 10 big trophies. In that same period at Liverpool, I have won an FA Cup and a League Cup. Chelsea 10, Liverpool 2. If Jose Mourinho had managed England in 2004 and 2006 I’m convinced we could have reached at least one major final. I think Rafa Benitez could also have steered us to a final in the Euros or the World Cup. But the only problem with Rafa is that a lot of the players would not have enjoyed playing for him and, over a long tournament, there would be pressures and tensions. That’s why Jose stands out as the manager I wish England had appointed during my time as a player. Imagine what he could have got out of a group that included Beckham, Scholes, Owen, Terry, Neville, Rooney, Campbell, Ferdinand, Lampard, Cole, Gerrard and a few others.